Yes, I’ve been doing this all of a month so let’s get that out of the way right now. Go ahead. Tell me I have no right and I’m out of my league. Its fine. Here’s the thing though. I’ve got a voice; a platform and I’m going to throw down like Thor. Read it, discuss it or step aside. This is one of the most important things I’ve learned over the past month about my ability to run a successful, productive and enjoyable book review blog. This is my very first foray into the oh so popular TOP TEN (OK FIVE—Because I’m Still Meeting and Greeting) TUESDAY! 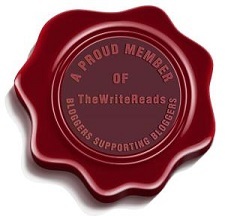 I wanted to pay homage to those I’ve gotten to know since the Sunshine Blogger Award! Plus say a One Month Happy Birthday to Novel Lives!!!! Fresh Ink is an anthology of “twelve label-defying” stories. For those familiar with Point-of-View short story works that have recently come out, Fresh Ink is not centered on a central plot point. For instance, it isn’t the same as Feral Youth by Shaun David Hutchinson (a fantastic read if you get the chance). Edited by the co-founder of We Need Diverse Books, Lamar Giles, the anthology includes topics on coming out, poverty, untimely death, transitioning and romance. I am not going to go through every story, but I am going to talk about my favorites without giving too much away. Dedicated to the late, great Walter Dean Myers, I am going to leave Tags for last.